Somali pirate negotiator Ali Mohamed Ali scored a big victory last week when a U.S. District Court Judge ordered him released on bond subject to home detention pending trial, primarily due to the excessive length of his pretrial detention (28 months.) The Court's opinion is here. The Government filed an emergency request for a stay pending appeal, which has been granted by the Appeals court. PER CURIAM ORDER filed  granting motion to return appellee to custody [1455046-2]; The district court is directed to enter an order returning appellee immediately to the custody of the United States; Granting request to expedite briefing; Setting briefing schedule: Appellant’s Memorandum of Law and Fact due 09/09/2013. Appellee’s Memorandum of Law and Fact due on 09/12/2013. Ali is now back in custody. Ali's case has been the subject of several appeals, including one over jurisdiction. He was assisting the victims of the pirated Danish ship and its owner by negotiating with the pirates for the release of hostages. 8 of the 15 men charged with piracy in the deaths of two American couples on the Quest vessel hijacked in the Gulf of Aden will plead guilty . At least one (and likely at least three) will be sentenced to life in prison. Last year, the Danish Navy thought a Somali boat was approaching the Ely Maersk, a Danish merchant vessel off the coast of Somalia, shot at it and arrested the occupants. They were brought to Denmark to face piracy charges. They were appointed counsel. The Danish Prosecutor For Special International Criminal Cases decided not to file charges and released the men back to Somalia. The Danish counsel for the men has now sued for damages for unlawful detention and the destruction of their boat and property. The Danish Navy's Esbern Snare has seized 200 suspected pirates, all of whom were later released. "Somali pirates are currently holding some 28 international vessels and 587 hostages." Last week, when writing about the new case filed in Virginia against a group of Somali pirates who are accused of killing two American couples after hijacking their boat, I quoted at length from pleadings in a 2010 Virginia case where the defendants, young Somali men convicted of pirating a ship in the Indian Ocean, were awaiting sentencing. Five defendants, all in their young 20's, all facing life sentences. $27,000 per year for 40 years for 5 defendants equals - $5,400,000.00. And that's just the cost of housing them. It doesn't include the cost of prosecution or defense or their medical care while in prison. Now we have a new Norfolk case with 14 young Somali defendants, captured in the Indian Ocean, and flown to the U.S. for criminal prosecution. With the jurisdictional and venue issues already decided against them in earlier cases, with no local interpreters and no local Somali population to sit on their jury, their fate will probably be the same. $27,000 per year for 40 years for 14 defendants equals $15,120,000. $20 million just to warehouse the defendants in two cases. Monday, the five were sentenced to life in prison. These sentences aren't going to stop piracy. They do, however, cost the U.S. a huge amount of money that could better be spent elsewhere. The Government unsealed an Indictment today against 14 young Somalis. All 14 are charged with piracy and other major crimes in federal court in Norfolk, VA (Eastern District of Virginia.) 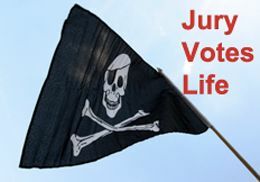 If convicted on the first piracy count, the sentence is mandatory life in prison. There is no parole. They leave prison when they die. The FBI press release is here. Sad news from the Indian Ocean. The pirates that seized the Quest on Friday and took four Americans hostage, owners Scott and Jean Adams and Phyllis Macay and Bob Riggle, have shot and killed all four. The US central command said that negotiations were under way with the pirates when the US forces heard gunfire, boarded the yacht and found the four American bodies. "As they responded to the gunfire, reaching and boarding the Quest, the forces discovered all four hostages had been shot by their captors," general James Mattis of US central command said in a statement. The U.S. had sent four navy warships, including an aircraft carrier, to the scene. After boarding the ship, two pirates were killed and 15 have been detained. The Adams had been sailing around the world on the ship since 2004. What a tragic way for their journey to end. The New York Times has more details here, and says 13 pirates have been detained. Some background on Somali pirates is here and here. Abdulwali Muse, the young Somali pirate, was sentenced in federal court today to 34 years in prison. Muse pleaded guilty last May. As part of the agreement, prosecutors said they would seek a sentence of at least 27 years but no more than 33 years and 9 months. Today they asked for the maximum. 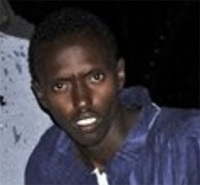 Abduwali Muse, the young, 5'2" Somali pirate, was indicted by a federal grand jury this week. The charges include piracy and violence against maritime navigation. (Indictment available here (pdf.) Bloomberg reports that if convicted, he faces mandatory life in prison. Today, he pleaded not guilty. Abduhl Wali-i-Musi, the sole surviving pirate of the hijacking of the Maersk Alabama and kidnapping of Captain Richard Phillips has arrived in New York. He will be arraigned today in federal court. Omar Jamal, Director of the Somali Justice Advocacy Center in Minneapolis, a group that helps Somali immigrants with legal and social issues, said Musi's family has asked his organization to assist in his defense. Update: Musi's mother was interviewed by the AP and is pleading for his release. She says he is 16 and was "swept up by "gangsters with money." His mother is calling on President Barack Obama to pardon him or allow her to attend his trial. If he needs character witnesses or mitigation witnesses, since he's indigent, the government will have to pay their travel expenses here. This sure is going to be an expensive trial for the U.S. Freed hostage Captain Richard Phillips was supposed to reunite with his crew today in Mombassa. They were scheduled to fly back to the U.S. together. The plan fell apart because Captain Phillips was on the U.S.S. Bainbridge which had to attend to yesterday's failed pirate attempt to take the Liberty Sun, another U.S. ship. While the pirates failed, they caused some damage by throwing rocket grenades at the ship. How absurd is this? 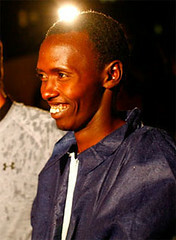 The Department of Justice is going to prosecute the captured Somali pirate in federal court in New York or Washington. Can we think of any more ways to waste money? On Saturday, a judge in Somalia's State of Puntland handed down 20 year sentences to ten pirates captured in another hijacking last October. 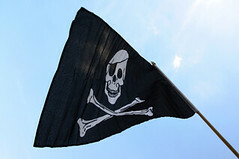 In September, other pirates were sentenced to 15 years. Swift and certain justice, Somali style. The pirate will come here, be declared indigent so taxpayers will fund both his prosecution and the defense, and the case will take years to wind through the courts on jurisdictional issues alone. Deterrence? What pirate isn't going to think 20 years in a U.S. prison is a cakewalk compared to the conditions in a prison in Somalia or Kenya? Another case of retribution gone wild. Hooray for the Captain! He jumped overboard and was rescued. Navy Seals shot and killed three of the pirates. The fourth was taken into custody. Capt. Richard Phillips was helped out of the water off the Somali coast and is uninjured and in good condition, the official said. He was taken aboard the USS Bainbridge, a nearby naval warship. It's regrettable there was any loss of life but the Captain had to be freed.